Happy Spring and Happy Easter, Everyone! Easter weekend was a whirlwind! Saturday we spent with my husband’s family. We had a lovely lunch, went bowling, and brought home tons of Easter treats. We had a blast! On Easter Sunday we hosted my family’s Easter at our house. After a beautiful Easter church service we came back to our house and had brunch. We talked, laughed, ate ham and German potato salad. Time flew by too quickly. While I was preparing our house for our get-together, I thought it would be nice to get a little fancy and use my mom’s China. I am not a fan of paper/disposable anything. My own dinnerware is looking shady. But, it was Easter (THE most important holy day for Christians! 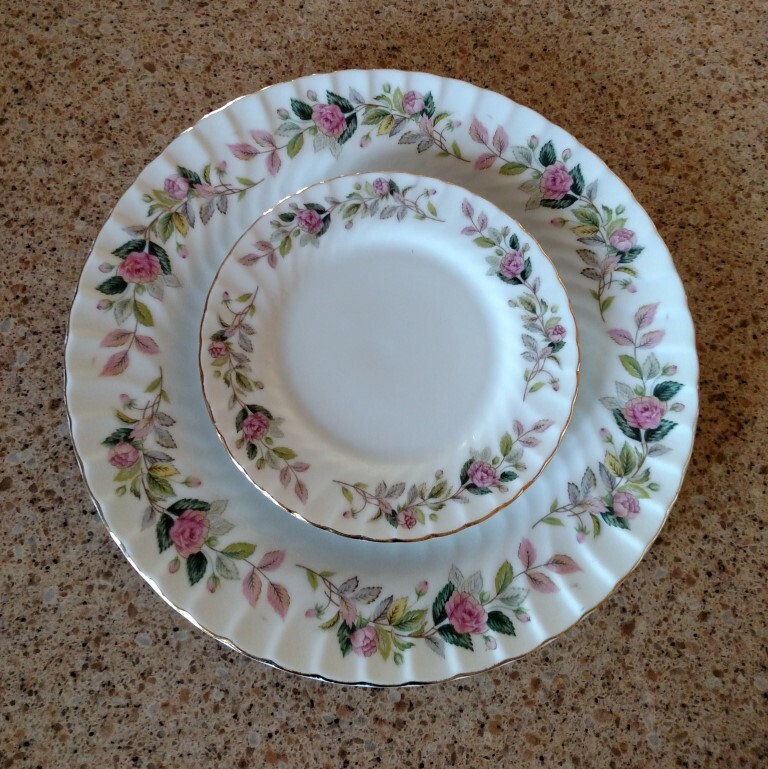 ), so I dusted off my mom’s beautiful China. Before we ate, my sister said to me, “Remember when we used to go all out for Easter? We’d get dressed up for church and have a sit down dinner?” She was pleasantly surprised when I told her we would be using mom’s china for our meal. It was a beautiful Easter in so many ways! Before we met up with my husband’s family on Easter weekend, I received a call saying my sewing machine was ready to be picked up. I was SO happy! Not only did I pick up my old pal (and now she runs like butter!) I purchased a new machine! It is a great machine (Janome) and I still have so much to learn about it. So, I am up and running again. I have been catching up around the house from Easter and sewing new things to list and put in my booth at The WB Merchantile.